APEX has been committed to providing supreme clean drinking water since it was founded in Gardenia, California in 1997. PLEASE CONTACT US BEFORE LEAVING A NEGATIVE REVIEW OR STARTING A RETURN, WE WILL PROPTLY ADDRESS ANY MISTAKES OR CONCERNS. Since about 60% of the human body is made up of water, it's vitally important that the water you drink is pure and healthy for you. Do you wonder if your drinking water is actually safe or if it's making you sick? Most of us think our water is clean when it comes out of the faucet. There might actually be a lot of impurities, like a virus, that you can't see, smell, or even taste. 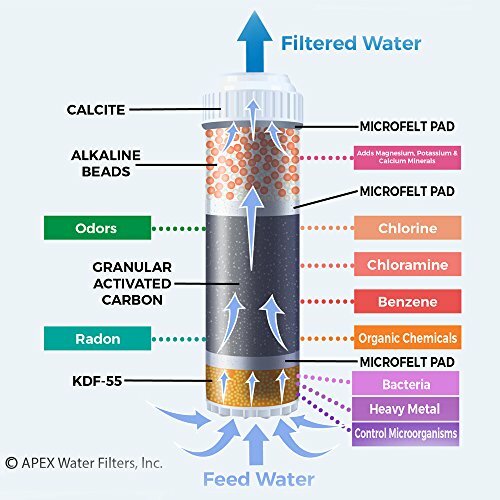 APEX's Countertop Alkaline Water Filter System is the solution you need to ensure that the water you drink is free of the many contaminants that seep into groundwater supplies. Water from kitchen faucets may be fine for washing dishes - but drinking it is entirely different. 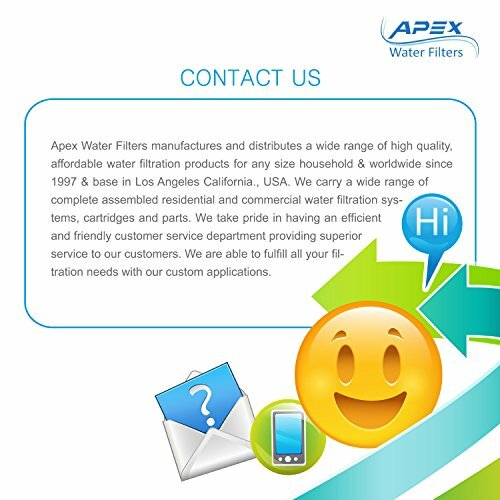 If you are looking for a kitchen water filter system, consider APEX water filters. 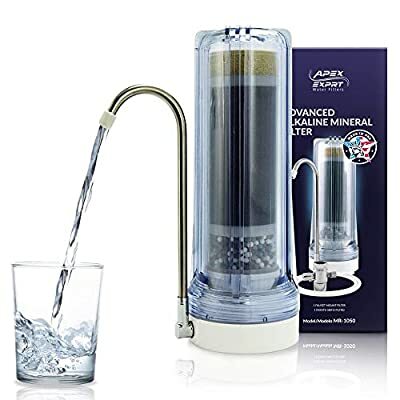 This APEX water purifiers filtering system comes as a complete water purification kit that is simple to install and use. 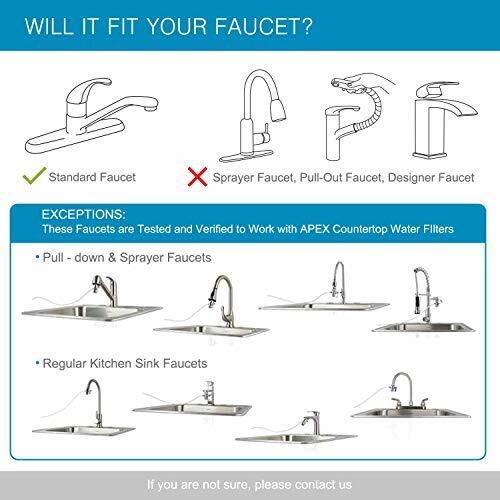 It attaches easily to most standard kitchen faucets with easy do-it-yourself installation. 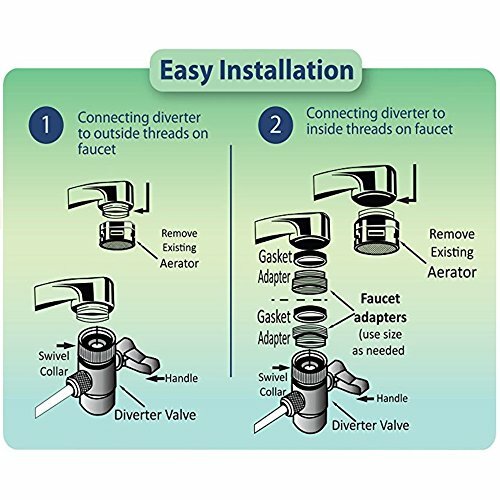 Simply remove the aerator screen (bubbler screen) from the faucet and screw on the collar of the APEX diverter valve. 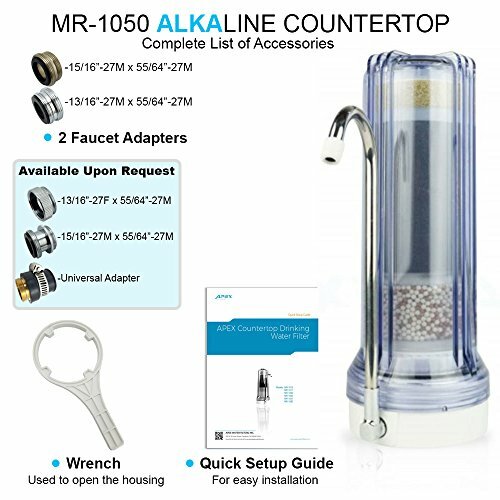 APEX Countertop Alkaline Drinking Water Filter System for home faucets removes impurities and chemicals. Tiny particles and contaminants are removed through carbon block filters that remove mercury, pesticides, chlorine, radon, and more from your family's drinking water. This super advanced water purification process removes contaminants that you can't see or smell in your tap water. APEX water purifier systems also remove sediment and rust.